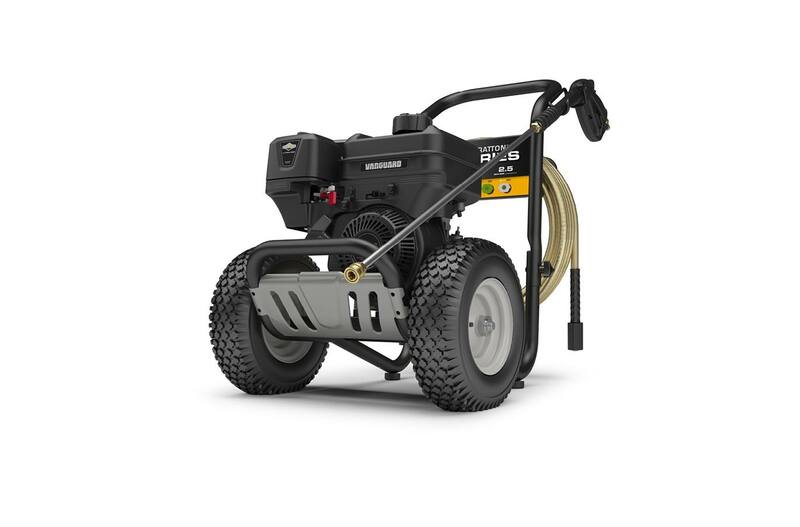 Briggs & Stratton Vanguard™ 6.5 Gross HP OHV Engine (205cc): This commercial-grade, single cylinder engine starts easily and features Overhead Valve (OHV) technology to run cooler and last longer: it's serious power for serious cleaning. Easy All-Terrain Mobility: Featuring 13" never go flat wheels with steel rims. 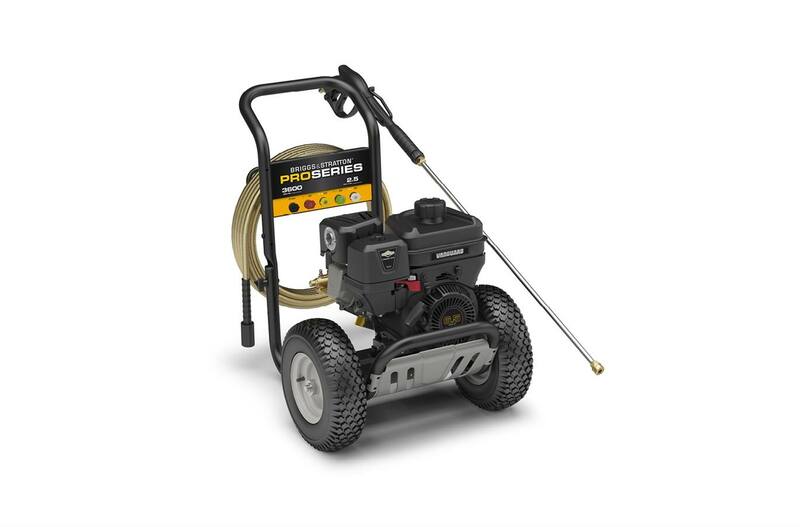 Adjustable Pressure Regulator: Lets you fine tune the PSI to best fit your specific cleaning task. 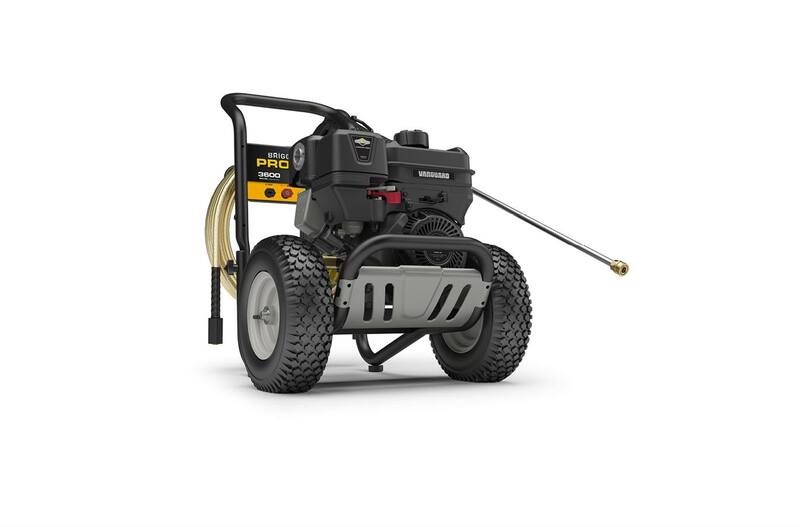 5 Quick-Connect Spray Tips: Quickly and easily switch between four high-pressure pre-defined spray patterns from pin-point to wide fan (0, 15, 25, 40 degrees) for precise cleaning, plus one cleaning solution spray tip. 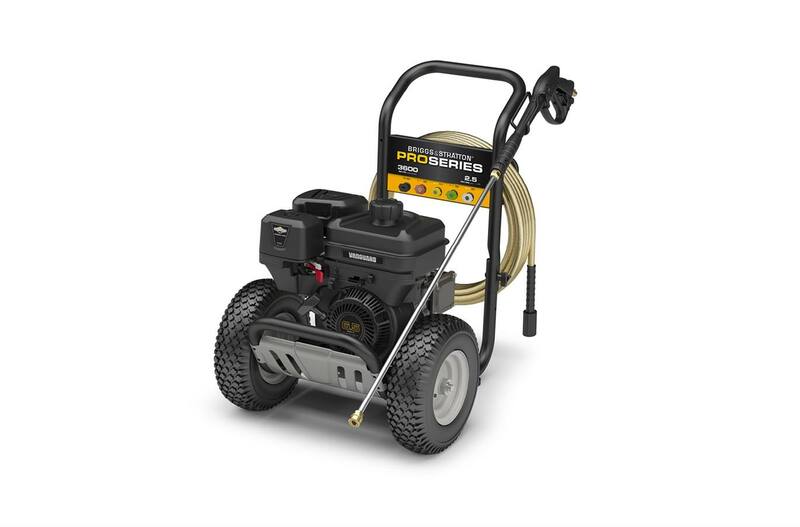 35' Steel Braided High-Pressure Hose: This heavy-duty hose features quick-connect fittings to help you clean further and work faster on the job. Transport Guard™ System: The first and only combined fuel and ignition shut-off, designed to eliminate the harmful effects of oil/fuel dilution during transportation. 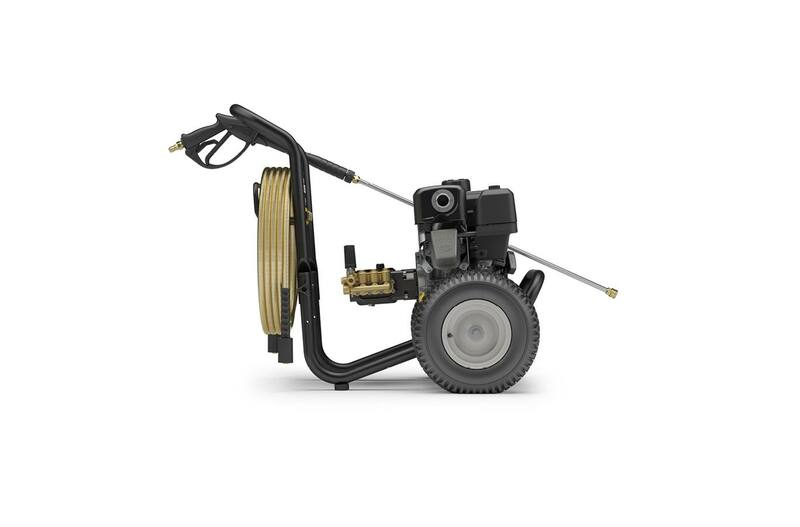 Commercial-Duty Annovi Reverberi™ Triplex Pump: This pump is specially designed for high-performance, high-pressure output and long-lasting durability. 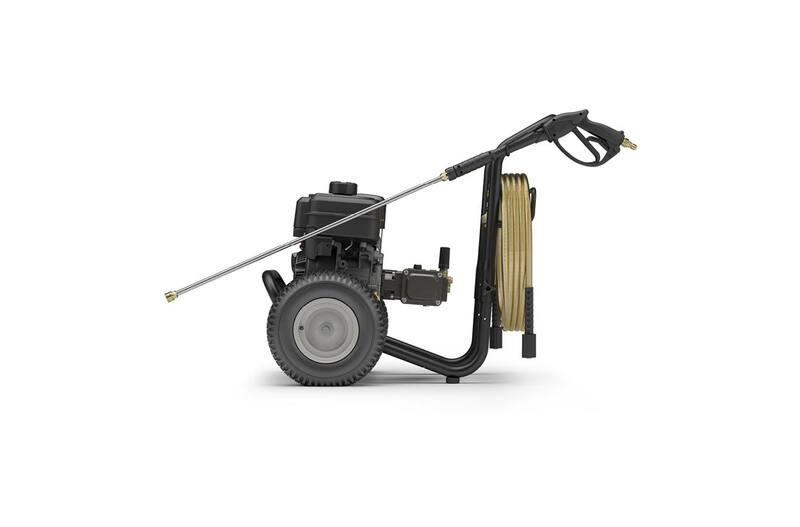 Welded Frame With Steel Brushguard: For added strength and durability to resist rugged terrain and transport.